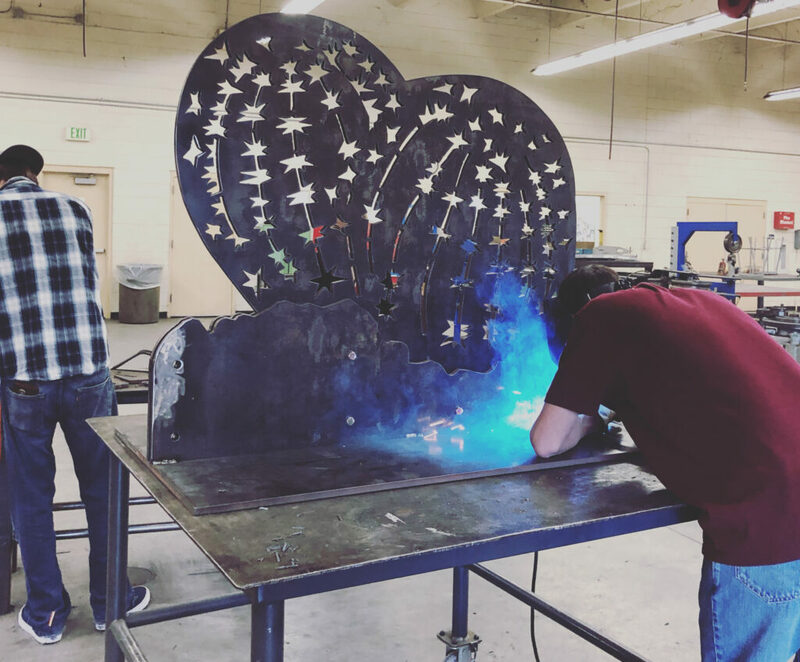 The steel artwork of desert flora and fauna has been underway for 2 years. It is exciting to see thick steel turned into recognizable barrel cactus, prickly pear, saguaro and ocotillo. In a short while you will be crossing the intersection of Monroe Avenue and 4th Street in Historic Downtown Buckeye and spot the colorful cacti and animals. This project has been a collaboration of many artists like inmates at the Florence Corrections Facility who fabricated the saguaro and ocotillo sculptures, Charlene Powers Broadbent of Powers Leavitt Insurance who initially came up with the concepts and Serbin Studio Architects who designed the patterns. 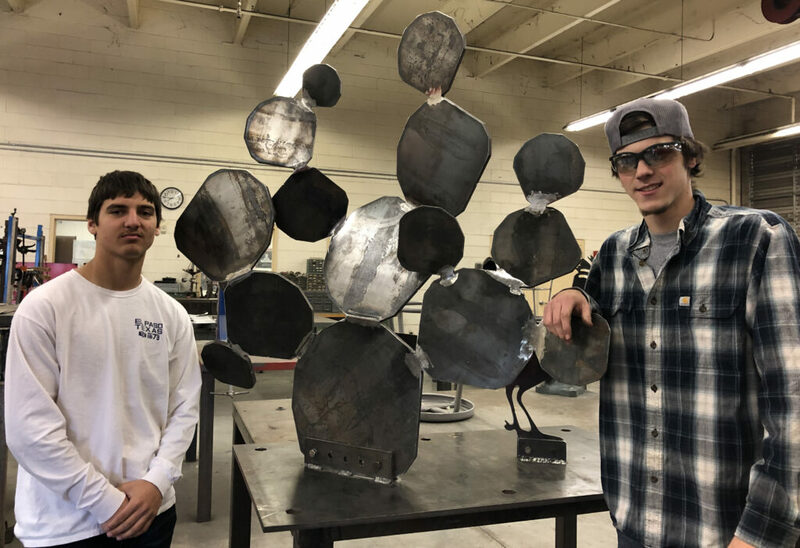 The barrel cactus and prickly pear are currently being fabricated by Buckeye Union High School welding Instructor Alijandro Jimenez and welding students. Many hours have been spent cutting, knocking off excess, grinding, and making smooth. 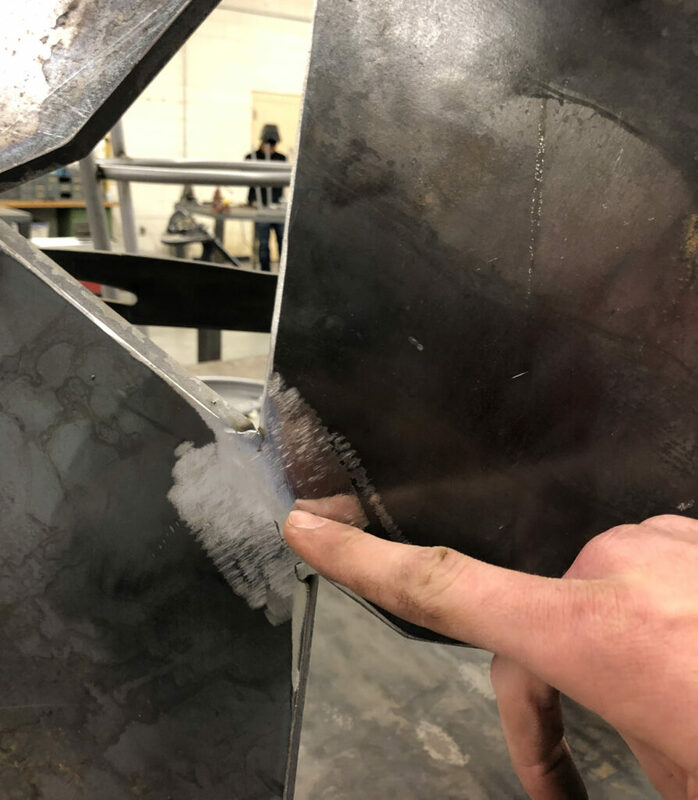 As student Jonathan Celaya pointed out, “Many connections on the prickly pear sculpture we had to fill in the gap with all the multiple angled connections.” Once metal fill is applied, the rough connection gets smoothed out. Jonathan Celaya taps off rough from the steel cut barrel cactus. Gap between angled steel prickly pear pads. It takes lots of attention to detail to bring a flat sheet of steel to life. Some of the tricks are seen here in the road runner. The wings of the bird aren’t just welded directly to the bird body. To give this fast desert bird some 3 dimensional quality and shadow effect, metal spacers are used in between the wing and body. This same technique is used on the previous steel sculpture of the barrel racer. These pieces will be taken to Glendale Powder Coating next week! More to follow on this exciting project for Downtown Buckeye! 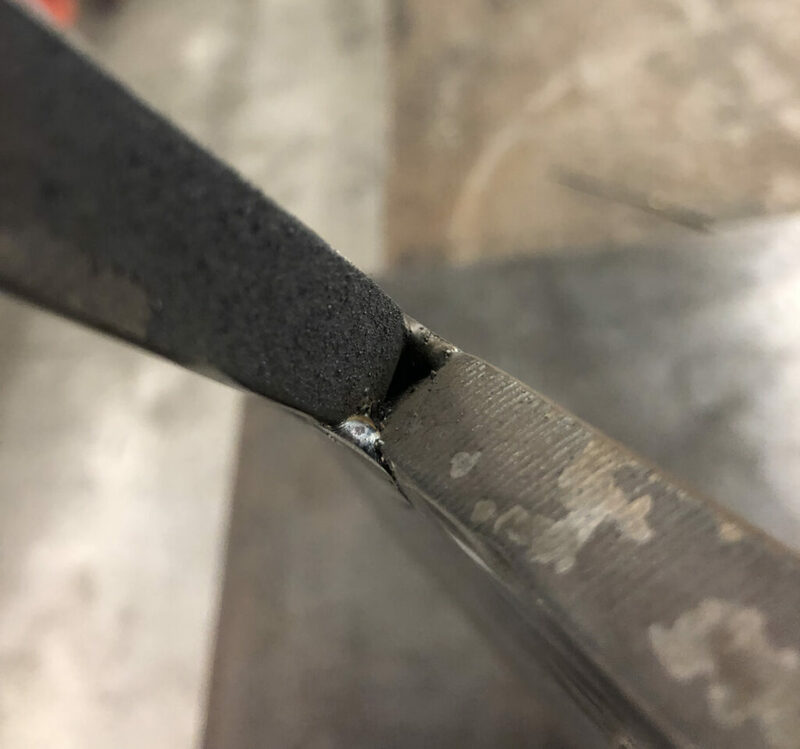 Metal spacers between Road Runner wing and body. I love things like this where people come together to make Buckeye an amazing place. So proud of our Buckeye students and this opportunity they have to make a lasting impression on our community. Great Job, can’t wait to see the finished art.